﻿ Hilton Garden Inn Anaheim Garden Grove, Los Angeles (CA) | FROM $114 - SAVE ON AGODA! "Happy to stay in this hotel and also recommended this hotel..."
Have a question for Hilton Garden Inn Anaheim Garden Grove? "Accessible location and can visit Disney and other establishments with ease." "We enjoyed watching Disney's fireworks on new year's countdown from our room. Will definitely consider staying in this hotel again once we're back in LA." 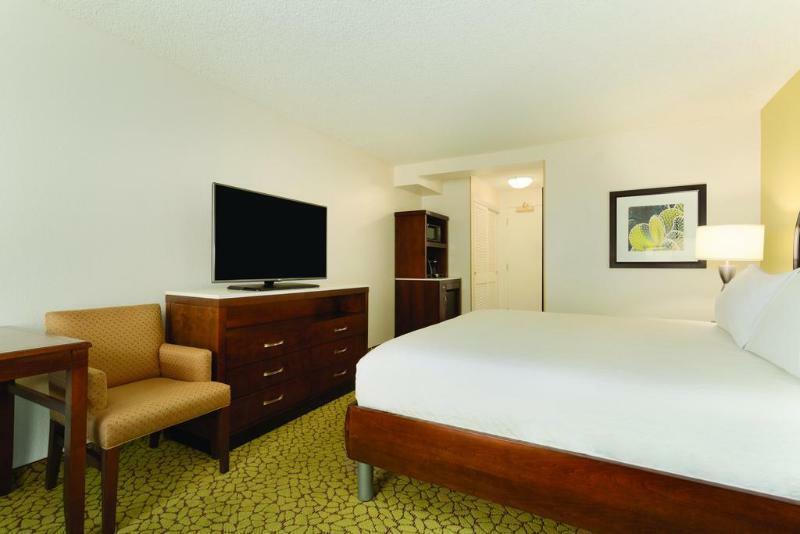 "We enjoyed our stay in Hilton for 4 days, room is clean with..."
A visit to the Hilton Garden Inn Anaheim Garden Grove will make your Los Angeles vacation unforgettable and enjoyable. With tours available, the hotel is a great spot to stay to learn about your surroundings and see everything you can while you're here. It features a bar, a coffee shop, room service, BBQ facilities, and restaurants on-site, so there is a selection of dining and snacking choices. Featuring a fitness center, a spa, a hot tub, and an outdoor swimming pool, it is fully equipped to ensure that your vacation is as memorable as possible. 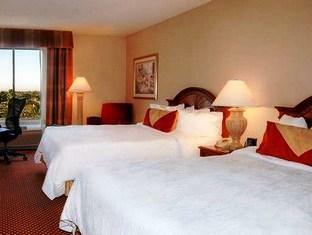 The hotel offers family rooms, so your entire family is provided ample space to hang out together. It has a kids club, offering parents a safe childcare option to keep their little ones busy. It has several convenient features, such as safety deposit boxes, a laundromat, shops, and a smoking area. The Hilton Garden Inn Anaheim Garden Grove provides free Wi-Fi in all rooms, as well as Wi-Fi in common areas, connecting you to the internet so you don't need to purchase a local sim card or spend on roaming and data costs. This hotel provides a range of useful services, such as a concierge, daily housekeeping, as well as dry cleaning services. It features a front desk that's open at all hours, so there is always a member of staff behind the desk to assist with any questions that you have. Hotel staff speaks English, Indonesian, Thai, Hindi, and Spanish. The Hilton Garden Inn Anaheim Garden Grove provides an express check in and check out service, giving you the option to avoid waiting in slow-moving queues when getting ready to catch a taxi. 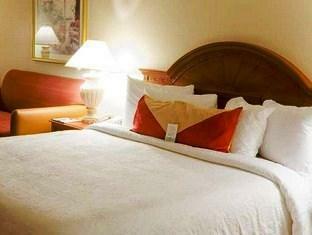 This hotel offers a range of transportation options, such as airport transfers and shuttle services. Anaheim Amtrak Train Station is 3.8 km away. The nearest airports are Fullerton Municipal Airport (FUL) and John Wayne Airport (SNA), which are located 10.7 km and 13.2 km away. The Hilton Garden Inn Anaheim Garden Grove offers check-in from 03:00 PM and check-out until 12:00 PM. "The room is clean and have neutrogena toiletries"
Short Uber ride (or thirty minute walk) form Disneyland. A block away from the local Target. Free parking if you have a rental car. We enjoyed our stay in Hilton for 4 days, room is clean with comfortable bed. Accessible location and can visit Disney and other establishments with ease. We enjoyed watching Disney's fireworks on new year's countdown from our room. Will definitely consider staying in this hotel again once we're back in LA.